Installer tool which enables developers and system administrators to easily build reliable exe packages. Expert software for architecture and land planning with 2D / 3D design libraries, creative content, scheduling tools, and more. Expert software for landscape design and irrigation with 2D / 3D design libraries, an interactive plant library, and more. Toolbox LT is the revolutionary solution that adds 3D modeling and LISP support to AutoCAD LT...and so much more. ApPHP Hotel Site is a powerful hotel management and online booking/reservation site script. This script is the fully functional PHP solution to manage small to medium size of hotels, holiday flats or guesthouse. 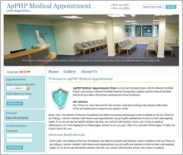 Medical clinic site PHP script. This application for handling doctors appointments, enables patients to book an appointment using web-based interface, and administrator of the clinic is able to approve/reject the appointment. 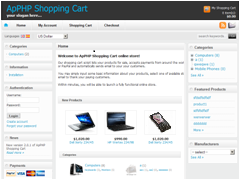 Powerful open-source online e-commerce PHP solution for everyone who wants to sell online with their own online store. 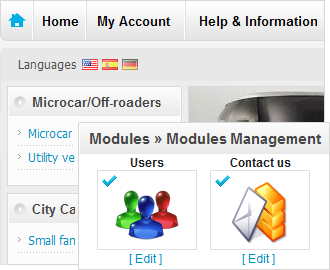 Fast, small and powerful PHP Content Management System script for everyone who want to create and manage site content with ease. Internet Business Promoter SEO - Search engine optimization software with ranking guarantee.